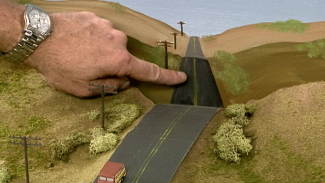 Just because your layout doesn’t have five stops and three branch lines doesn’t mean you can’t run realistic model railroad switching operations on your layout. 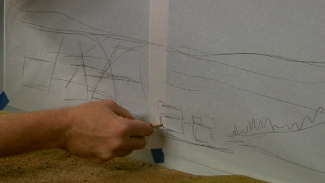 It just means you need to get a little bit creative with the way you utilize the trackage on a small layout. Whether it’s running laps to extend your train’s operation or rearranging a train’s order using spurs and sidings, there are always real-life scenarios you can use to run successful and entertaining model railroad switching operations on a small layout. In this lesson, we teach you how to make your model railroad switching operations more involved and thought intensive, so you can spend more time enjoying your layout. To help you figure out some simple ways to run proper model railroad switching operations on a small, Andy Sperandeo walks you through a sample run of a local engine that needs to drop off empty coal hoppers at a mine branch and pick up freight to bring home. He shows you some of the expert maneuvers you can utilize in your own model railroad switching operations to extend the amount of time you spend running your train. In Andy’s demonstration, you’ll first learn how to taxi your engine at the correct speed for safety when pushing it across a yard for pickup, and see the correct way to stop at and throw manual switches before proceeding. Andy also introduces a few tricks he likes to use to rearrange the order of a train and get maximize his model railroad switching operations, including a quick technique that incorporates water and fuel pickups. Take advantage of these easy methods for running realistic model railroad switching operations on a small layout, and we guarantee you’ll get more out of your time in the workshop! It’s great that you can demonstrate that much switching action on a small 4×8 layout! I enjoyed this video. Shows a great amount of switching available, and no real need for switch machines. Is there a track plan of the Turtle Creek layout? Andy DID a great job of designing small layouts with lots of operating potential. I’ve been a long-time fan of his. Maybe a bit of research on line will bring up that track plan. Good video but when demonstrating switching a few aerial shots looking down on the track would give a better overview of the yard and the switching strategy.